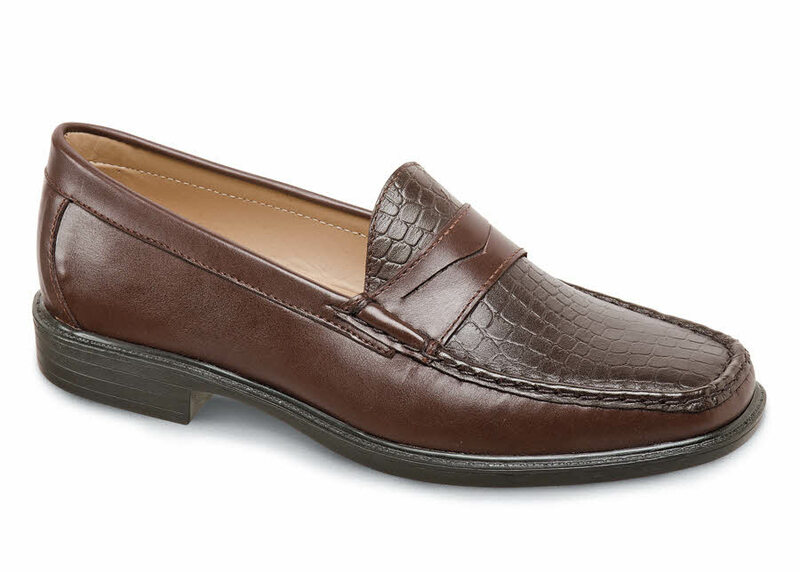 Sharp-looking and amazingly comfortable, our brown extra-depth Kent XD loafer with distinctive croco print vamp has soft leather uppers and a flexible PU sole. 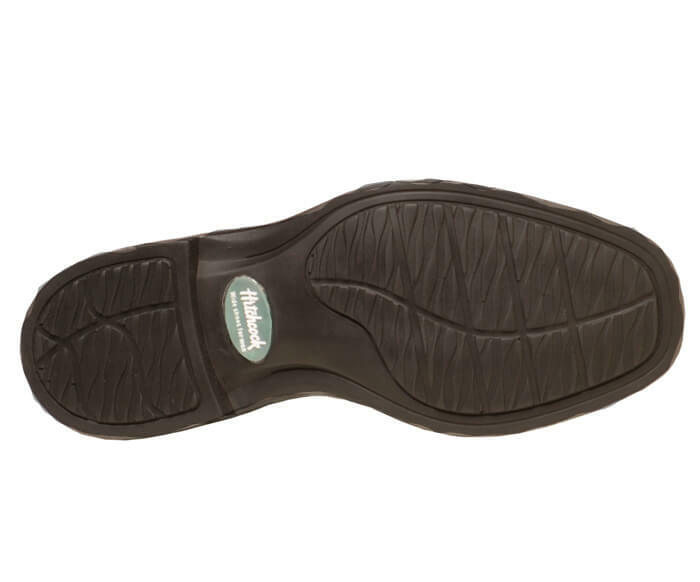 The cushioning footbed of polyurethane foam can be removed to accommodate customer orthotics. Men's sizes 7–12, 13 and 14 in 3E, 5E and 6E.